« Phrasal Verbs: Look out!!! How English Is Evolving Into a Language We May Not Even Understand! But what if these sentences aren’t really bad English? What if they are evidence that the English language is happily leading an alternative lifestyle without us? Thanks to globalization, the Allied victories in World War II, and American leadership in science and technology, English has become so successful across the world that it’s escaping the boundaries of what we think it should be. In part, this is because there are fewer of us: By 2020, native speakers will make up only 15 percent of the estimated 2 billion people who will be using or learning the language. Already, most conversations in English are between nonnative speakers who use it as a lingua franca. In China, this sort of free-form adoption of English is helped along by a shortage of native English-speaking teachers, who are hard to keep happy in rural areas for long stretches of time. 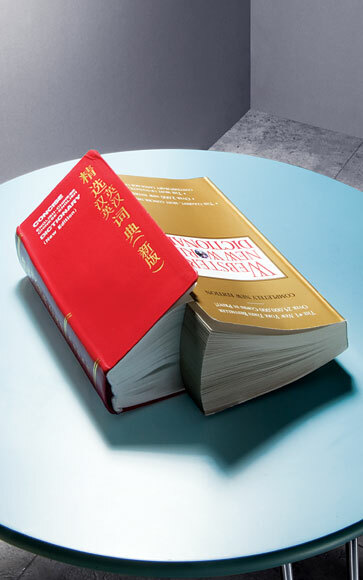 An estimated 300 million Chinese — roughly equivalent to the total US population — read and write English but don’t get enough quality spoken practice. The likely consequence of all this? In the future, more and more spoken English will sound increasingly like Chinese. One noted feature of Singlish is the use of words like ah, lah, or wah at the end of a sentence to indicate a question or get a listener to agree with you. They’re each pronounced with tone — the linguistic feature that gives spoken Mandarin its musical quality — adding a specific pitch to words to alter their meaning. (If you say “xin” with an even tone, it means “heart”; with a descending tone it means “honest.”) According to linguists, such words may introduce tone into other Asian-English hybrids. Given the number of people involved, Chinglish is destined to take on a life of its own. Advertisers will play with it, as they already do in Taiwan. It will be celebrated as a form of cultural identity, as the Hong Kong Museum of Art did in a Chinglish exhibition last year. It will be used widely online and in movies, music, games, and books, as it is in Singapore. Someday, it may even be taught in schools. Ultimately, it’s not that speakers will slide along a continuum, with “proper” language at one end and local English dialects on the other, as in countries where creoles are spoken. Nor will Chinglish replace native languages, as creoles sometimes do. It’s that Chinglish will be just as proper as any other English on the planet. And it’s possible Chinglish will be more efficient than our version, doing away with word endings and the articles a, an, and the. After all, if you can figure out “Environmental sanitation needs your conserve,” maybe conservation isn’t so necessary. Any language is constantly evolving, so it’s not surprising that English, transplanted to new soil, is bearing unusual fruit. Nor is it unique that a language, spread so far from its homelands, would begin to fracture. The obvious comparison is to Latin, which broke into mutually distinct languages over hundreds of years — French, Italian, Spanish, Portuguese, Romanian. A less familiar example is Arabic: The speakers of its myriad dialects are connected through the written language of the Koran and, more recently, through the homogenized Arabic of Al Jazeera. But what’s happening to English may be its own thing: It’s mingling with so many more local languages than Latin ever did, that it’s on a path toward a global tongue — what’s coming to be known as Panglish. Soon, when Americans travel abroad, one of the languages they’ll have to learn may be their own. This entry was posted in English Posts and tagged China, New English. Bookmark the permalink. Post a comment or leave a trackback: Trackback URL.